These pages are best viewed in 32Bit True Colour Resolution. We recommend you order samples prior to placing an order as colour accuracy varies from monitor to monitor and we cannot be held responsible for colour discrepancies. PLEASE NOTE: We do not accept returns of fabric. 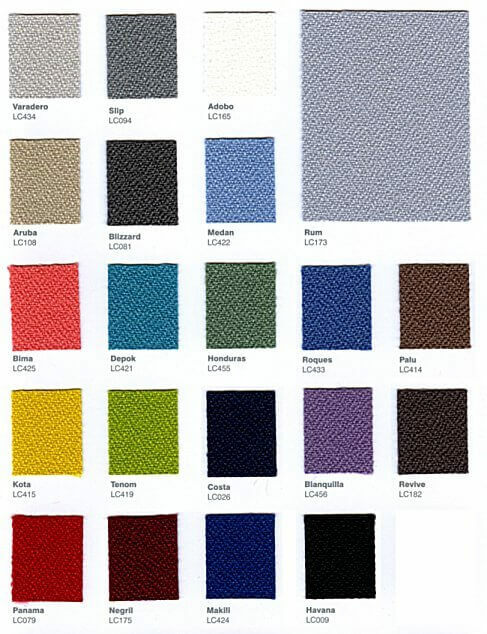 These fabrics are an open weave type and allow sound to enter acoustic products, materials and absorbers placed behind it. It is not suitable for any soundproofing applications. This product is NOT an acoustic absorber or an acoustically absorbent fabric it is acoustically 'transparent'. Sticking this product directly onto a plasterboard finished wall will not be the solution to excessive reverberation within a room unless you have 25-100mm thick porous acoustic material behind it. If you are unsure about any of the notes above please call or email us. 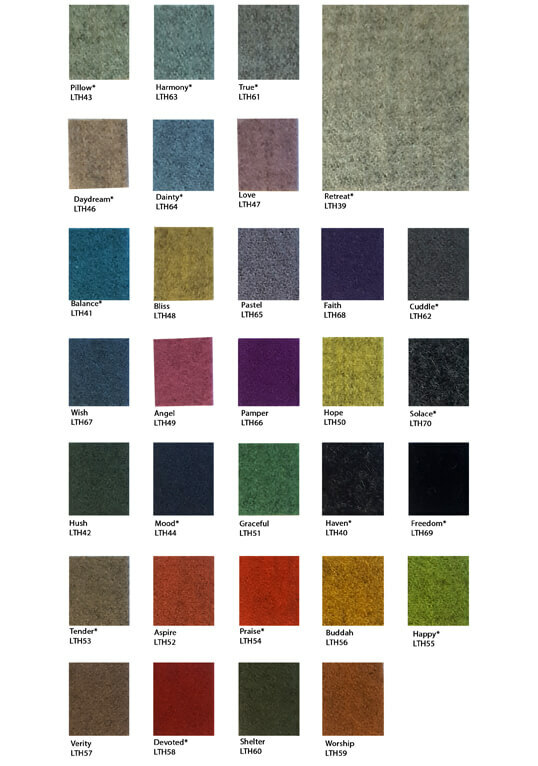 The Cara range is the standard range that we use to cover our custom made acoustic products. 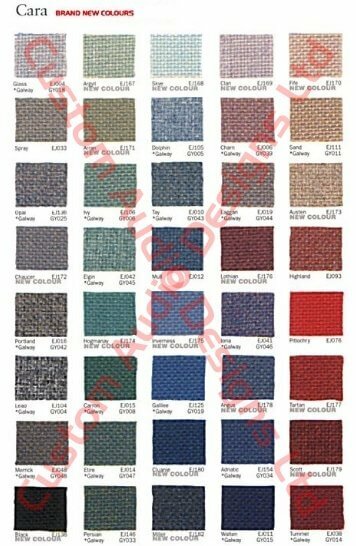 Other fabrics are available, up to a Class0 Fire Rating, on request at additional cost. We can often also use customers own fabric selection if supplied to us however you should consult our technical department first so they can assess suitability. Composition: 100% Flame Retardant Polyester.